From ceramics to silversmithing, calligraphy to textiles, hot glass to bookbinding, crafts have played a rich and complex role in the social, cultural, and artistic history of twentieth-century Britain. 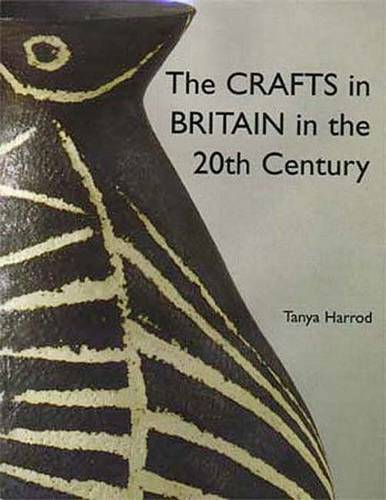 This all-encompassing book is the first to survey the full range of individual craft disciplines and key practitioners from the pre-World War I years of the Arts and Crafts Movement to the 1990s. Tanya Harrod shows how the crafts movement emerged in response to generalized anxiety about the production, commodification, and consumption of objects in a highly industrialized society. Caught between the more powerful disciplines of fine art, architecture, and design for industry, crafts have defined and redefined themselves throughout the century. The book begins with the craft revival of the early 1900s, tracing the complex legacy of John Ruskin and William Morris. The author then discusses how the Arts and Crafts Movement was forced to reexamine its aims during the Great War; how the development of the crafts was closely connected to the development of modernism between the wars; and how during World War II the idea of the handmade, often in the form of vernacular craft discovered in remote pockets of England, played a significant part in propagandizing a national culture worth defending. The book also explores the postwar beginnings of a countercultural workshop-based craft movement led by Bernard Leach and the continuing redefinition of crafts as the government-funded Crafts Council pushed them toward the fine arts and then the government attempted in the 1980s to recast them as exemplars of enterprise culture. Harrod describes the increasingly blurred division between craft and design for mass production at the conclusion of the book. Along with historians, educators, artists, craftspersons, and collectors, readers with an interest in British cultural history will find in this book much to delight and fascinate. This book accompanies an exhibition of British crafts, "The Pleasures of Peace: Craft, Art and Design in Britain from the 1940s to the 1960s," that will open at the Sainsbury Centre at the University of East Anglia in spring 1999.